Liam Gallagher made a surprise appearance at Paul Weller's gig at London's 100 Club last night (August 1). Weller was headlining the intimate venue as part of the Conserve Represent series of shows and the Beady Eye man, who had just returned from South Korea, watched his gig from the side of the stage. 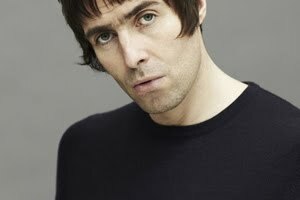 Also, according to an NME source, Gallagher promised the 100 Club's manager that he would play a gig at the venue with Beady Eye in the near future.